← Kill a Worker, Go to Jail! Birmingham: Sat 2nd May 2015 2-5pm. 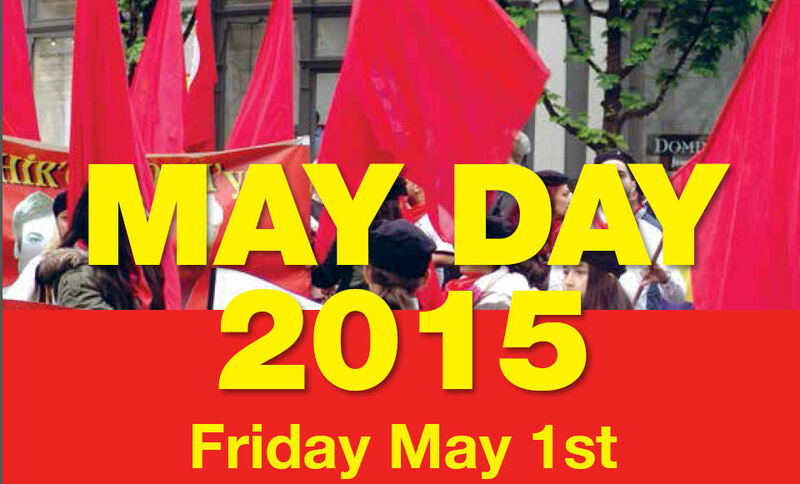 Birmingham Trades Union Council invite you to celebrate MAY DAY 2015 INTERNATIONAL WORKERS DAY. Transport House 112 Broad Street B15 1AY. Chelmsford: Friends Meeting House, Rainsford Road, Chelmsford on 1 May starting at 7.30pm. Guest Speakers: Arsalan Ghani, Pakistan Trade Union Defence Campaign. A speaker has been invited from the Essex Brigades FBU to update us on their dispute. Croydon: Mayday 2015 March Rally – Sunday 3rd May , Assemble 12 Midday, Elmwood Road, Croydon, CR0 2PL. Depart by 12.30pm, March behind Schiehallion Pipes Drums, through central croydon to a rally at Ruskin House at 1.30pm. Speakers include; Philipa Harvey NUT, Clara Paillard PCS, Kevin O’Brien Unison, Ian Ward CWU, Andrew Fisher LEAP. Leeds: [may-day-001.jpg] Leeds TUC May Day March and Rally, Organised by Leeds TUC, With speakers from Syriza, the anti-austerity party in Greece, local trade unionists and activists involved in anti-austerity struggles in Leeds. Saturday 2 May , assemble 11.30am Victoria Gardens (outside Leeds City Art Gallery). This year’s Leeds TUC May Day Rally marks 125 years since the first rally demonstration in 1890. 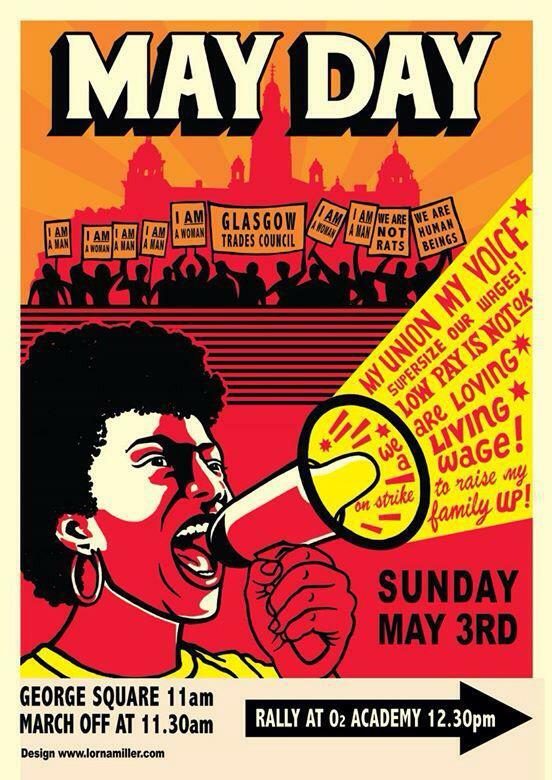 Manchester: Manchester May Day Festival 2015. When: May 2, 2015 @ 10:00 am – May 3, 2015 @ 12:00 am Where: Mechanics institute, princess st .
Yeovil: Yeovil TUC May Day Event 2015. 7:30pm Friday 1st May – International Workers’ Day. Yeovil Labour Club, Central Road Yeovil BA20 1JL.